My regular readers know that I prefer to focus on how we can benefit small business and bloggers and not on the individual behind this blog. That has created curiosity about who I am, why I do what I do and more details on why I think what I think and share what I share. What came out of that interview was one of the most interesting interviews I’ve ever had with anyone — and I’ve been doing this for over 12 years. She revealed stuff about Google and about marketing and blog promotions that many people would charge to share in a several hour seminar. It’s worth reading and rereading several times. While Gail Gardner is not particularly famous in mainstream circles, in the small business and marketing blog world, she’s made a name for herself as one of the most influential bloggers out there. From her house somewhere in Texas, she’s managed to create a network of bloggers who listen to her every word, and in turn follow her posts as if they are gospel. What is even stranger is that no one has actually met her, and she’s never been to a single convention or spoken at a single event. Her entire influence has been built online, one post after another, often making major waves with what she says in the marketing community. More importantly, I hope you find the content very applicable to the goals you are working to achieve. Do leave comments and let me know what you think? BREAKING NEWS: Wow it must be my lucky week. Small Business Technology Consultant Vernessa Taylor, best known as @CoachNotesBlog on Twitter, just surprised me with a beautifully written Small Business Advisor Profile of GrowMap. While Gail Gardner is not particularly famous in mainstream circles, in the small business and marketing blog world, she’s made a name for herself as one of the most influential bloggers out there. From her house somewhere in Texas, she’s managed to create a network of bloggers who listen to her every word, and in turn follow her posts as if they are gospel. What is even stranger is that no one has actually met her, and she’s never been to a single convention or spoken at a single event. Her entire influence has been built online, one post after another, often making major waves with what she says in the marketing community. I’ve spoken to her a few times, and even been featured in her blog (See Pace Lattin: Tax Nexus) and have seen the power of her followers. 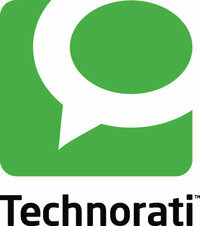 Currently Her Blog, GrowMap, is one of the top Technorati Small Business Blogs (ranked #48). I sat down (virtually, that is) with her this past week and had a discussion both over Skype and email. What came out of that interview was one of the most interesting interviews I’ve ever had with anyone — and I’ve been doing this for over 12 years. She revealed stuff about Google and about marketing and blog promotions that many people would charge to share in a several hour seminar. It’s worth reading and rereading several times. So Gail, what exactly made you want to create the GrowMap site? Since the mid-1990s I’ve used Web sites to organize my research and share what I learn. Blogging platforms make that much faster to do. I started GrowMap when I stopped managing AdWords accounts full time and started researching methods beyond organic or paid search for generating traffic for small businesses. What can you tell us about the so-called Google Panda Update, when it comes to creating content? Are content farms out of the mix completely? I don’t buy the characterization of Panda as a content farm update. Many direct competitors for Google products such as Google Shopping and Google Places were heavily penalized. That is a serious problem for small businesses (both online and traditional brick and mortar) AND consumers because Google is severely limiting our choices. In my post about how the Farmer Update Slapping Google Competitors I pointed out that Google Shopping suggests only a handful of big brand stores while the sites they are making disappear are our path to small businesses. In that post I show an example of one search for business card holders where Google offers FIVE stores (which can be expanded to twenty) while sites such as TheFind offer 4,401 stores with 138,507 products. What is your opinion of all the “SEO Experts” who do link building and claim they can raise your Google rank on certain keywords? I’ll answer that when I can stop grinning. I know someone who has some ocean-front property in Oklahoma to sell those who believe that if you write brilliant content or have a beautiful site links will auto-magically happen. I call that the ‘If you build it they will come’ philosophy of link building which I wrote about in a post about how to drive traffic. I don’t care how magnificent your site is – if you don’t proactively do something no one is going to find it. Suggesting that white-hat SEO is some dark art rather than simply the logical way to make what you have to offer easier for your potential customers to find is just plain silly. Being against SEO is the same thing as being anti-advertising. Just as building relationships is essential to being effective in life, building links – ideally through collaborating with others in your niche – is essential to growing an online presence. As I keep trying to warn people, counting on traffic from the Google Monopoly is extremely unwise and there is NO ‘Google Fairy‘! It has certainly been possible to use links to get better positions in the search engines for specific keyword phrases. I say ‘has been’ because there is now enormous churn to what appears on page one at Google for many searches and that may indicate that the time is coming when getting on page one may be much easier but staying there frequently enough to obtain any kind of consistent traffic may no longer be possible. Businesses need to be very serious about building lists, using them more effectively, and integrating email and social media to attract more traffic. They must also make sure they have listings in Local Search Directories as that is the one source that can bring almost as much traffic as Google, but from hundreds or thousands of individual sites instead of one as shown in a Local Search Case Study that I published. A word of warning to small businesses about link building. I tell all my friends, clients, and anyone else who will listen not to spend one dime with anyone who solicits them by cold-calling or email for that type of service. High quality SEO firms are very busy and they are not going to call or email to get your business. Most of those types of companies that cold call or spam either leave blog spam comments that usually get deleted or use questionable techniques for link building including linking your site from what we call ‘bad neighborhoods’. Never hire anyone without due diligence searches and asking around. If you’re not great at researching ask someone who is. I regularly notify businesses that their so-called SEO people are spamming blogs which damages their reputation and usually has already gotten their site blacklisted in Akismet. What do you think of systems like Klout and PeerINdex in gauging influence on the internet? I was one of the first to heavily promote PeerIndex – not because they asked me to but simply because it is a very useful tool for identifying “influencers.” Although it is obvious that Klout is the system of choice by what I refer to as ‘The Borg’ (multi-national banking interests that control publicly traded corporations and the media), PeerIndex is similarly valuable and was the first to show influence by topic. I use both every day as tools to identify and reach out to others like myself. I also give Klout +K to the very best consultants – both in my collaborative circles such as those on my PeerIndex Influential Bloggers List – and outside of it such as @TheGrok and @Dr_Pete for increasing conversions, @skrug for Usability, @robsnell for Yahoo! Stores and feeds or @MarshaCollier for eBay sellers. Do you think that Google+ will overtake Facebook? What will it’s role be in social networking? It is too early to tell which the masses will prefer. Early adopters are obviously into Google+ and many of us get so annoyed by the usability issues on Facebook which waste our time and make re-finding anything so difficult there that Google Plus only has to be slightly better to get many of them to move. Much of the appearance of success to date is public relations and not overly accurate. There have been several major stories that contained some rather unbelievable statistics about the activity and importance of the impact of Google+ on social media. Just about all of my collaborators are already on it and many have spent much more time on it than I have so far. That is the beauty of collaboration – a few of us can learn something new and then bring the others up to speed if we decide it is worth doing. There are some very public defections of influencers from Facebook such as Chris Brogan’s Facebook page that says ‘I have moved G+”. There is speculation in the comments that perhaps Google hired him to promote it. One thing about being influential is that there is always the possibility that a company has hired one or more of us to promote their offering. What I believe is important is that we stay true to our moral compass. I freely promote many things because I sincerely believe in them. Money has nothing to do with it. Influence IS valuable and my position on it is that as long as you promote only what you truly believe in – whether unpaid which most of what we have done in the past has been – or paid – and ONLY accept payment from companies you can whole-heatedly endorse on products or services that are worthy – then using your influence on their behalf is fine. [NOTE: There was a second half to this interview. For reasons unknown, only the first half was available at archive.org when Technorati redesigned and deleted their blog contents. Really motivating article! Gail Gardner really inspired me a lot. Will surely follow her tracks to become successful. There’s a difference between people who spam and post meaningless junk on blogs, and those who post on topic related comments and post something meaningful. Companies who post garbage should get their comments deleted to be sure, but those who are willing to put the time and energy into actually reading the topics, and posting legit replies, I don’t feel they should be punished because a bunch of spammers decide to crap out the internet. I totally agree and have been encouraging bloggers to welcome comments from small businesses and other bloggers for several years. You may be interested in my post For Bloggers Who Hate Comment Spam. Just reading this post already made me learn something about you. You are a woman 😐 . I feel ashamed addressing you as “he” in my comments. Sorry about that Gail. Growmap doesn’t really disclose if you are male or female. Ok, I’m off to read the interviews now. This shows once and for all that you don’t need to be active offline to be successful in Internet Marketing, people won’t need to actually meet you for you to get successful. Cristian Balau would love you to read ..What is a Google Manual Penalty? I certainly agree that blogging is a beneficial way of marketing plus providing support and entertainment for customers and visitor to your site and shop. And I Did enjoy your comment on “Ignoring “guru” who stay to see whose falling and then attack to turn the traffic into income”. I believe with providing original + useful content and a bit of creativity all is going to be good both for us and our visitors. Had some success with collaboration for a few posts. It did lead to more traffic, but for our site it didn’t generate any additional leads. BUT, the additional links it brought in certainly didn’t hurt. Great interview!I read the both parts and must say I think that your success must be due to promoting the collaboration method between bloggers. It is something that just has to be appreciated, as it is quite rare to be found. Collaboration is indeed a great idea. I always believe in the saying that two heads are better than one. Andrew would love you to read ..The Rubbish I Keep! Blogging is a powerful way to build a strong relation ship with your readers and customers very easily, so it isn´t surprising that small businesses can widely profit from blogging! Blogging also perfectly interacts with social media these days (Or does social media interacts with blogging? ), another positive aspect for small businesses for sure! You may want to reconfigure your FeedBurner account so that your CommentLuv links give you the SEO benefit instead of FeedBurner. See How to Configure FeedBurner.